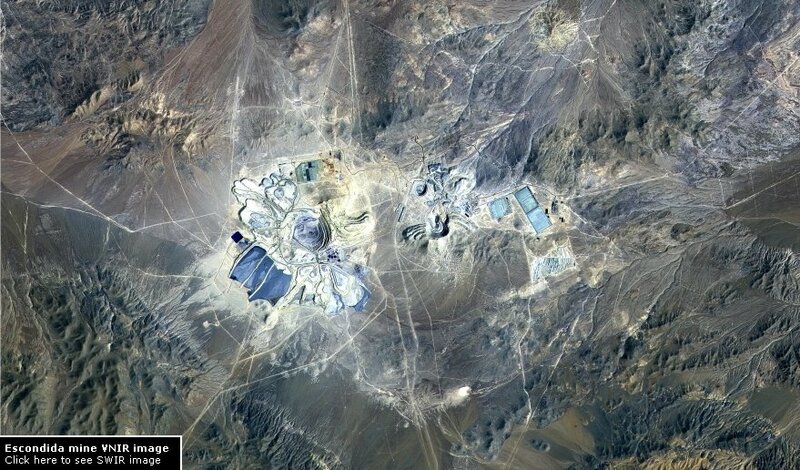 Right in the heart of the Atacama Desert in northern Chile lies the world's largest copper, gold and silver mine. 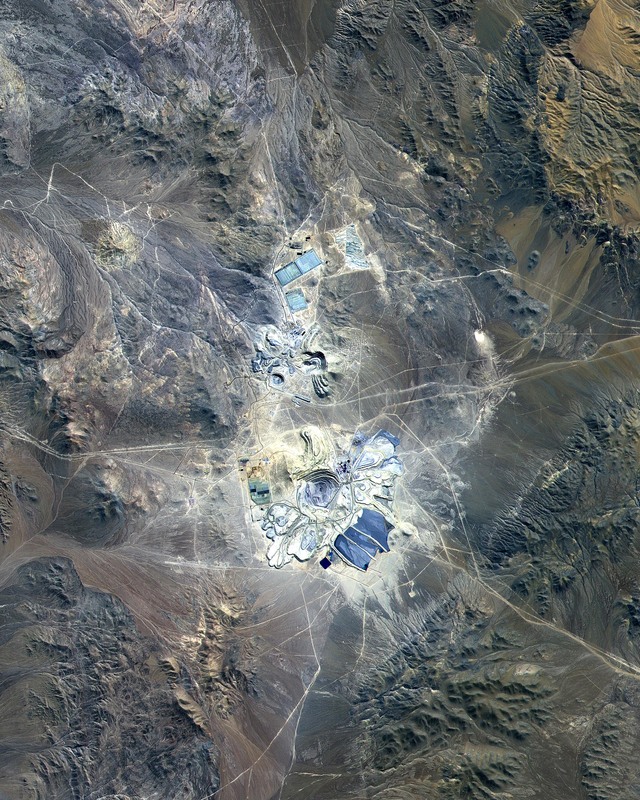 Both images are derived from the same ASTER view of the open-pit mine. The visible-near infrared (VNIR) image shows the area as we would see it from a plane with our naked eye. In the shortwave infrared (SWIR) image, the mine looks completely different. Copper rocks show up through their green colour. Mined areas are shown in a reddish-beige hue. Question : What does it look like from the ground ?